In the expectation of the coming spring we are preparing the 11th annual national scientific-practical conference “Varna Spring Dermatological Days”. I believe that with hard work, professional solidarity and a clear strategy we can overcome the crisis in the Bulgarian dermatology. 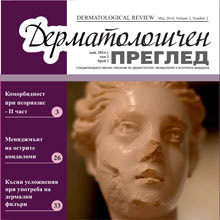 For this years “Varna Spring Dermatological Days” has developed into an important scientific environment, exceptionally valuable for all Bulgarian dermatologists and specialists. This is a national conference which gives every physician the opportunity to take active part in the development of dermatology, venereology and aesthetic medicine in Bulgaria. Colleagues and friends from every part of the country, I wish to invite you to participate in “Varna Spring Dermatological Days” in the Holiday Club Riviera, Varna, from the 20-23 of April 2017. I wish you excellent health, strong optimism and much professional success in the coming spring. Assoc. 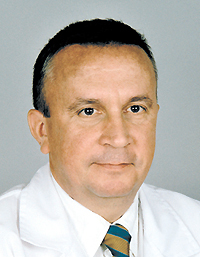 Prof. Dr. G. Pehlivanov M.D.